Do you remember where you were when you first heard it? I do. It was June of 1982 and I was sitting in seventh grade music class during one of the last days before summer vacation. The school was one of those two-story brick structures that had no air conditioning and by mid-morning temperatures in the classroom had risen to almost unbearable levels. The open windows and portable fans that circulated hot air throughout the classroom provided little relief to a bunch of teenagers waiting for that final bell to sound. “Heat of The Moment” became the coolest thing ever to me on that apropos day. The day I joined the eventual 8 million other people who bought the band Asia’s debut album. Since then, I’ve been a fan of keyboardist Geoff Downes. Not only for his experimentation of all things keyboard, but also for his songwriting ability. In addition to having the best selling album of 1982 with Asia, Downes also holds the coveted distinction of being part of the very first video ever played on MTV (Video Killed The Radio Star). Today, in between his work with Asia and Yes, Downes finds time to work on other projects as well. His most recent, New Dance Orchestra’s “Electronica” features the phenomenal vocals of Anne-Marie Helder (Panic Room, Mostly Autumn) and utilizes sounds from the latest computer technology. The result is a collection of virtual orchestrations that defy standard definition. Blending elements of classical, new age, pop and electronica, Downes uses rich textures to take the listener on a journey of spiritual enlightenment. 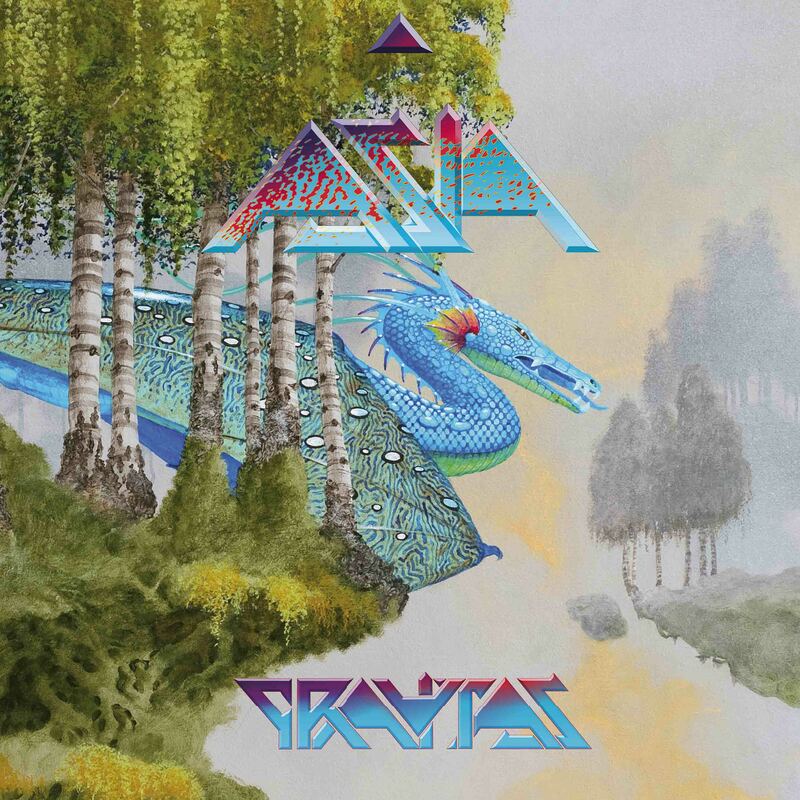 I spoke with Downes about Electronica as well as the forthcoming Asia album Gravitas, which features founding members Downes (keyboards), John Wetton (bass) and Carl Palmer (drums) as well as new guitarist Sam Coulson. He also tells me about some of the most memorable moments of his career. How would you describe the sound of Electronica? It’s a good combination of a lot of the influences I’ve had over the years. From my time with The Buggles to session work and some of the other projects I’ve been involved with like Yes and Asia. It’s a nice variety of music and an amalgamy of many of the things that I’ve been through over the course of my career. How do you approach songwriting for a project like New Dance Orchestra as opposed to one for Asia or Yes? When I create songs for New Dance Orchestra, there’s a lot of experimentation that I like to do. Some of the material comes from me tinkering with the latest sounds on computers. I’m very much into the technical aspect of the keyboard and like to experiment a lot with them. How did you connect with Anne-Marie Helder? I had worked with Anne-Marie on the Icon project I did with John Wetton. She came in and did vocals on a few of the tracks. She’s one of the top prog-rock vocalists and is very much in demand. When Steve Howe announced his retirement as guitarist for Asia, was there ever a moment where the band thought about slowing down? The rest of us always felt that it was worth continuing. Steve has his reasons for wanting to move on and concentrate more on his solo material. He’s pretty much been on the road for the last seven years doing solo material and his trio in addition to having the extra pressure of Yes and Asia. He felt it was time to try other things, which is fine. We brought in Sam (Coulson), who was recommended to us by Paul Gilbert. He’s a different type of player from Steve and brings with him his own sound. The actual emphasis was never to change direction but to evolve. What can you tell us about the new Asia album, Gravitas? We finished the album just before Christmas and it’s going to be released the last week of March. The cover was once again designed by Roger Dean. It’s another Asia album with songs written by myself and John Wetton. What’s the writing process like when you and John get together? Generally, we’ll both come in and open our ‘war chests’ of musical ideas. Whenever we get together in a session, it’s rare that we don’t come out of it with at least one or two songs. Can you tell me the origin of “Only Time Will Tell”? That one started off with what became the chorus part. It was something I had actually written for a jingle company. I had the basic idea for what became the chorus and I played it for John. That’s when he said “Hey, I think I’ve got something that might go with that” and started playing me the first verse. Originally, the song was going to be called “Starry Eyed”. It was a very in-depth collaboration with a very proggy, sentimental arrangement. It’s one of my favorite pieces that we’ve ever done in terms of Asia’s history because it has such depth and texture to it. When The Buggles released “Video Killed The Radio Star” did you have a feeling of how special it was going to be? We knew that it was a great song and a great record when we finished it. Trevor Horn and I both thought that if we were ever going to have a hit, this one would be it. I remember we presented it to Island Records and they were a bit skeptical. They didn’t even really like the name “The Buggles” either, but it ended up being our first major hit in the UK. Have you ever given thought to writing a book chronicling your life? I’ve been thinking about that recently. It really has been an amazing journey and is something I’ll definitely be looking into… when I have the time [laughs]. With all of your success with The Buggles, Yes, Asia, New Dance Orchestra and all of your other projects, is there anything that stands out as most memorable? There are so many. Obviously, you have to look at the first Buggles album because it was the one that introduced me into the business. The Drama album is very satisfying because more and more die-hard Yes fans can relate to that album as time has gone by. Then of course there’s the first Asia album. I’ll never forget sitting in the car with John Wetton. We had just arrived in the States shortly after the album had come out and “Heat of The Moment” was playing on the radio. I remember we changed the channel and at that exact moment another station was playing “Only Time Will Tell.” To have those tracks both playing simultaneously on two different radio stations in the same city was surreal. At that moment we both knew what we had was going to be something really special.